Customizable frontend User Posts Dashboard to manage submissions. Enhanced front-end post edit and delete options. Auto-register users after submitting a form. New registration form fields for signup that display only to logged-out members. Check out the live Mage Forms Demo for more information and usage examples. 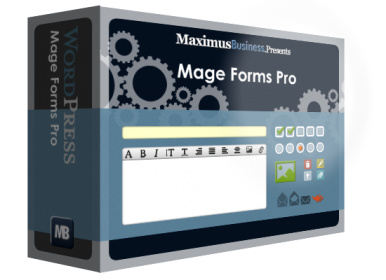 Mage Front End Forms allows you to create a Front End submission form for every post type you desire. View the general feature details on the WordPress Plugin page. A front-end post form on a multi-author blog. Product submission form on a Marketplace. 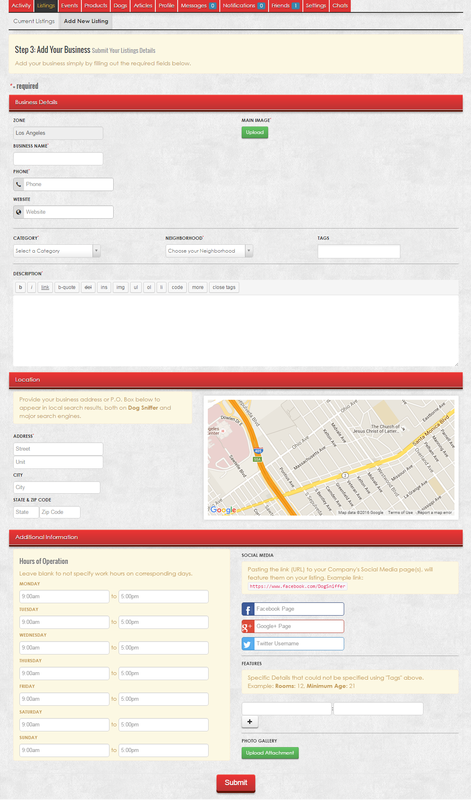 Submit your Business Listing on a Business Directory. 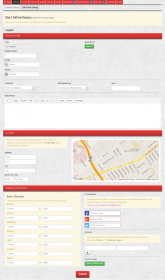 User Resume / Profile submission social or job application sites. 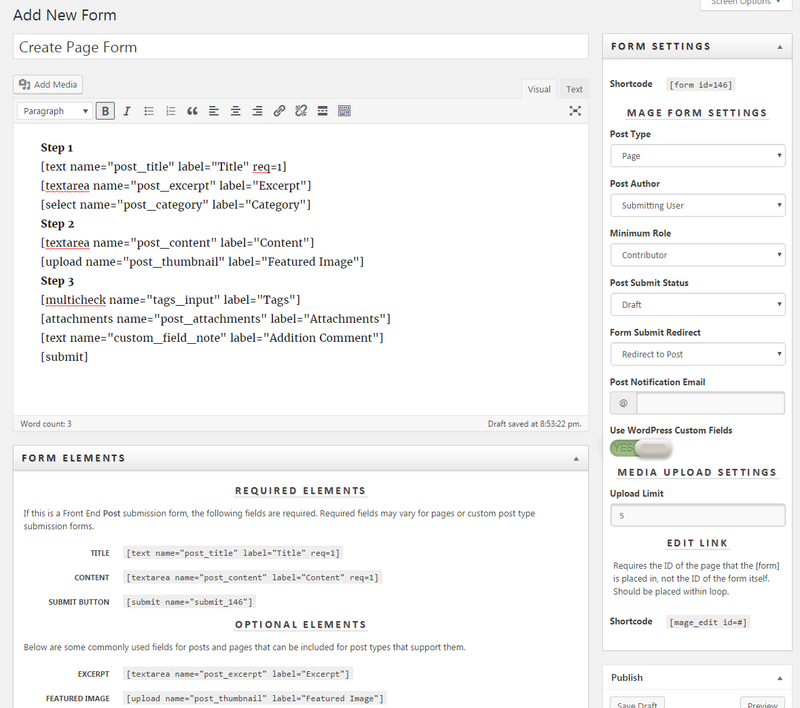 Place created forms anywhere using shortcode. Manage every input field and option placements via shortcodes. Enhanced category / custom taxonomy select dropdowns with child terms. 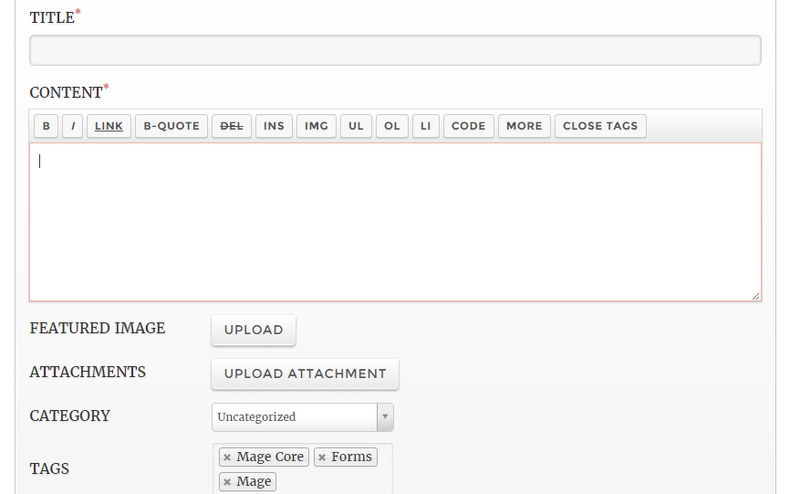 Multiselect and tag select features for post tag taxonomies. 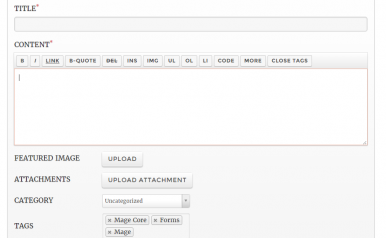 Upload Featured Image or multiple attachments via front end upload features. Choose minimum user role for front end post access. 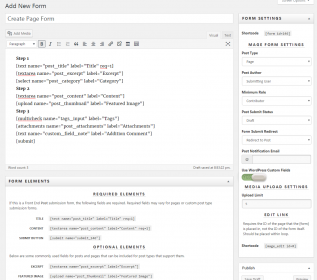 Auto-Publish or set to Pending/Draft options after Form submission.